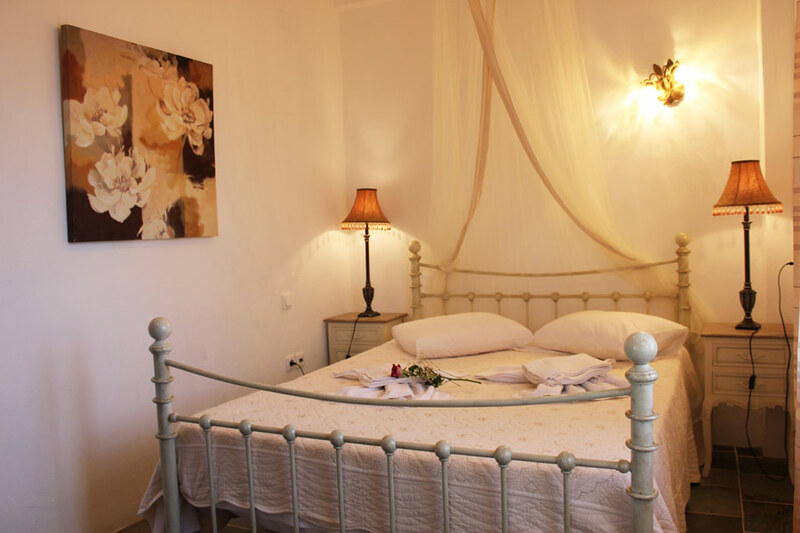 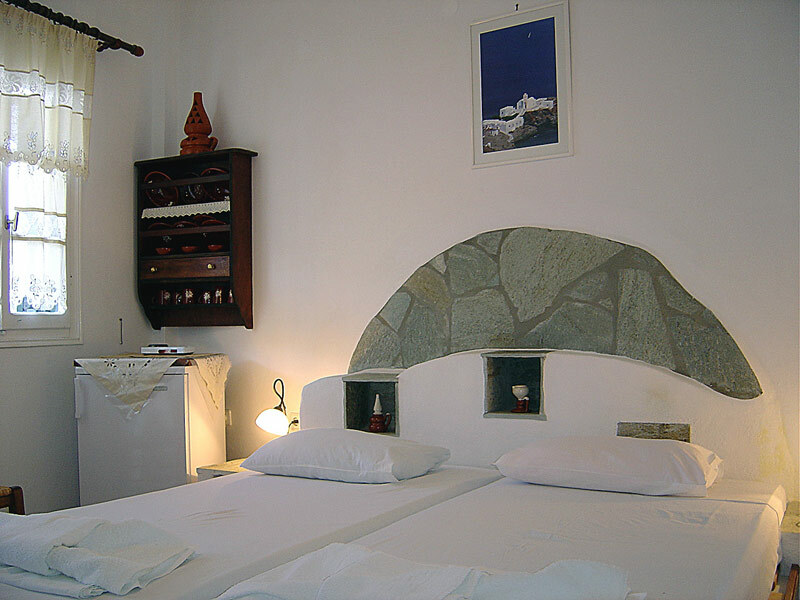 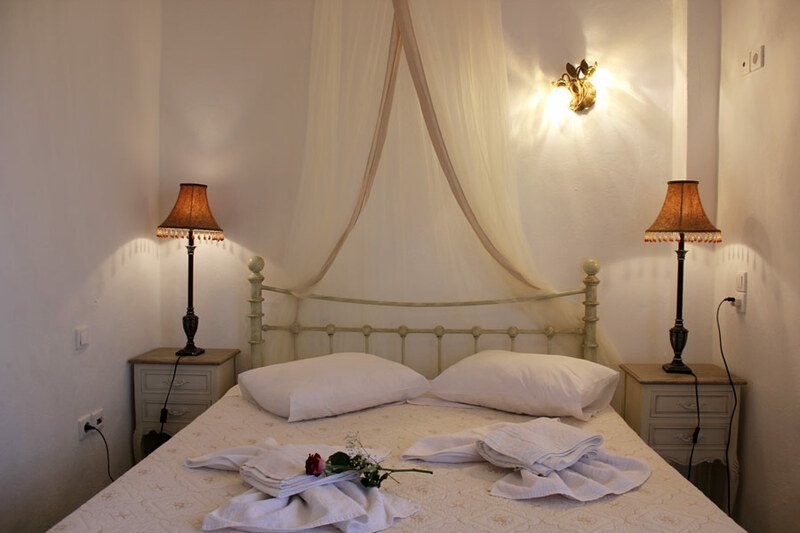 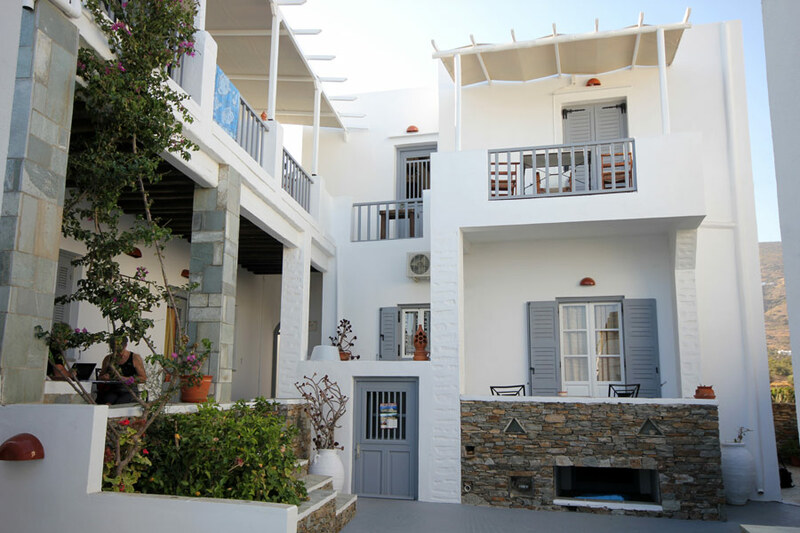 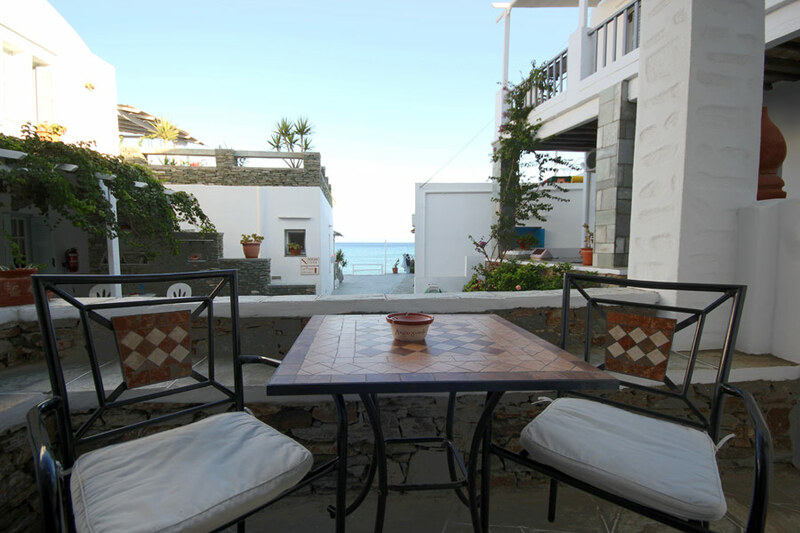 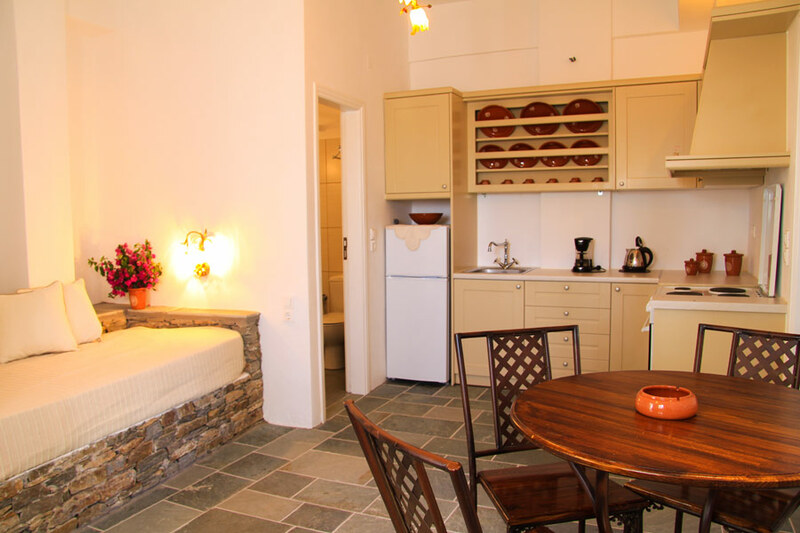 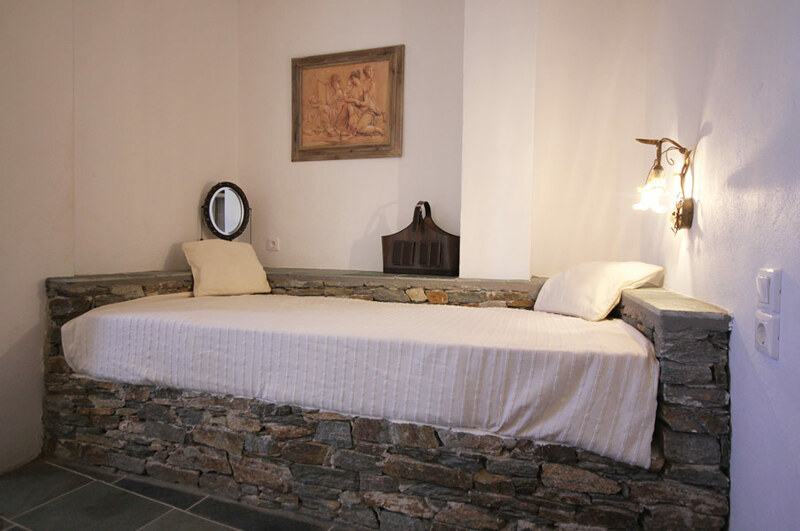 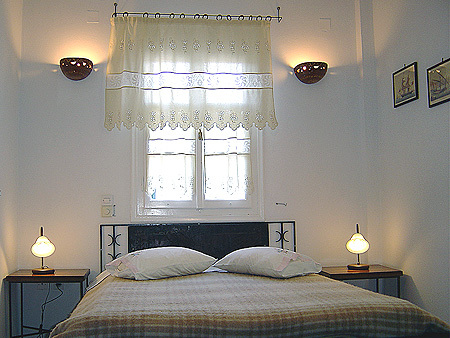 Pension Akrogiali is a newly built building which combines the traditional Cycladic architecture design with a touch of the personal taste of the owner. 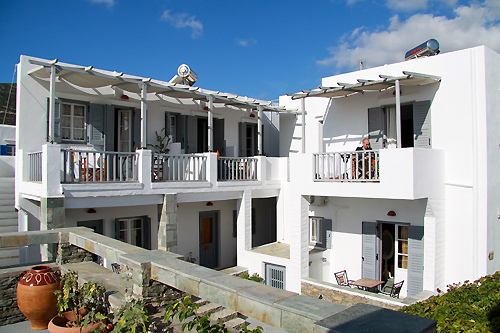 It consists of three double bedrooms and one apartment. 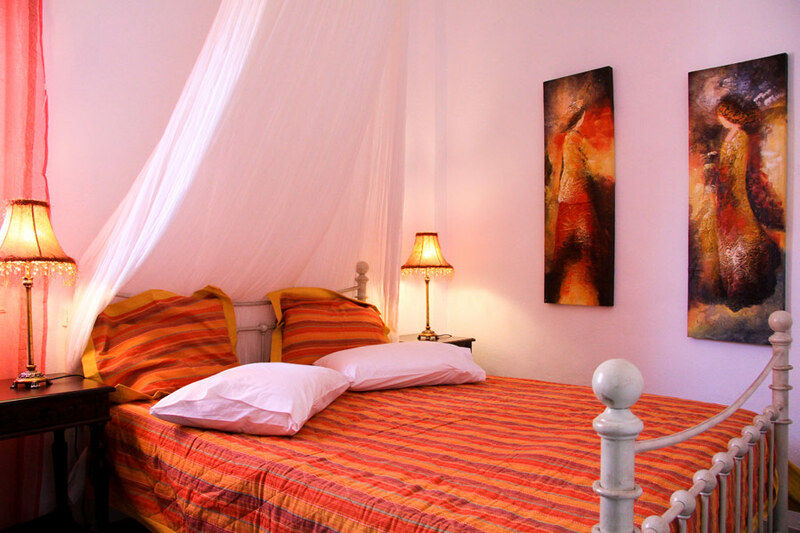 Each room has a private bathroom with 24 hours hot water, TV, A/C, mini fridge, coffee machine, all the necessary equipment for breakfast and a balcony with beautiful sea view. 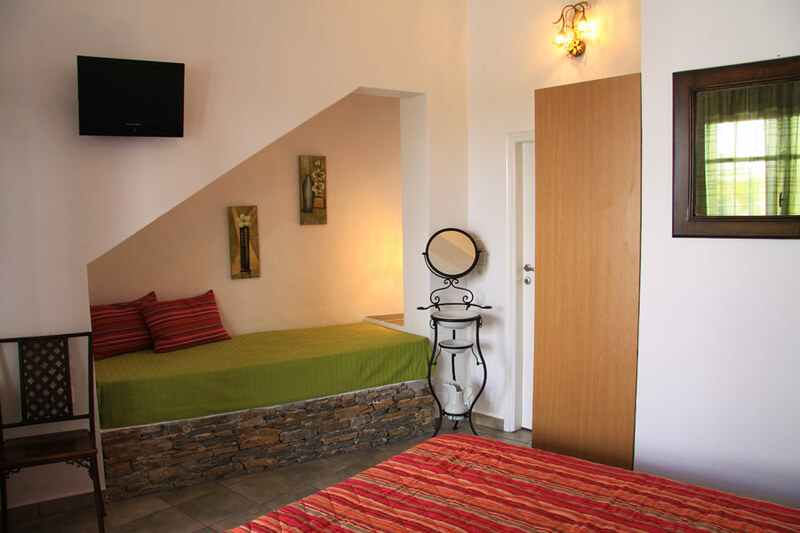 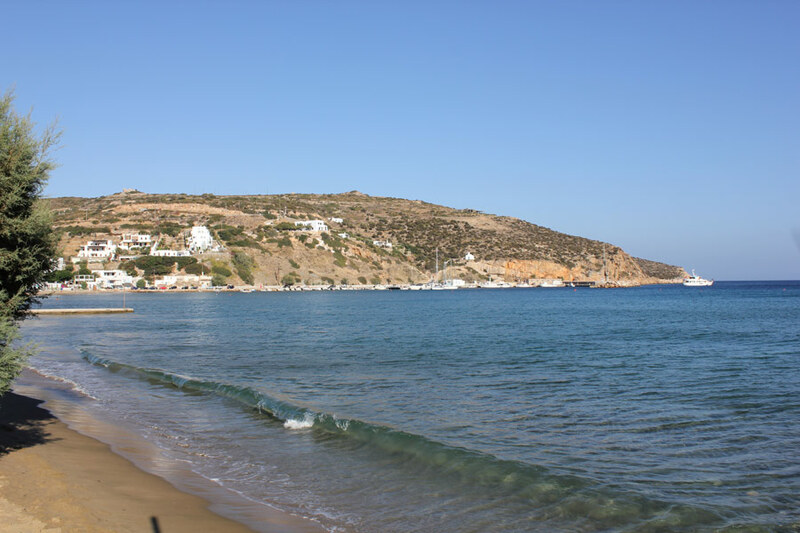 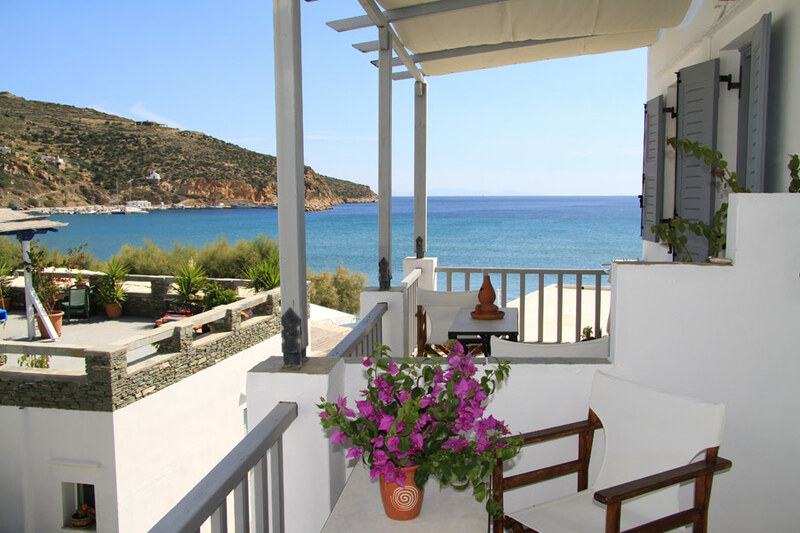 The apartment also consists of two separate bedrooms, one with a double bed and the other with twin beds, a full equipped kitchen with a dinning table and two balconies, both with pergola, where you can enjoy the amazing view of Platis Gialos. 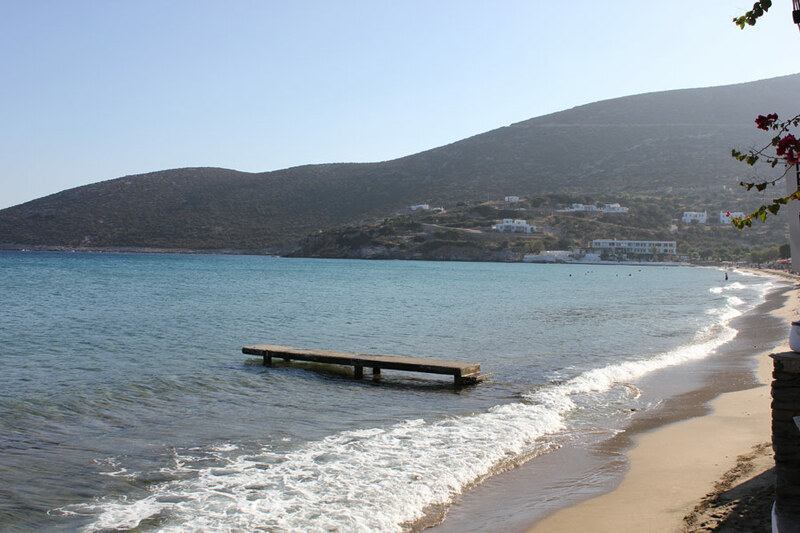 Only few meters away you?ll find the bus station. 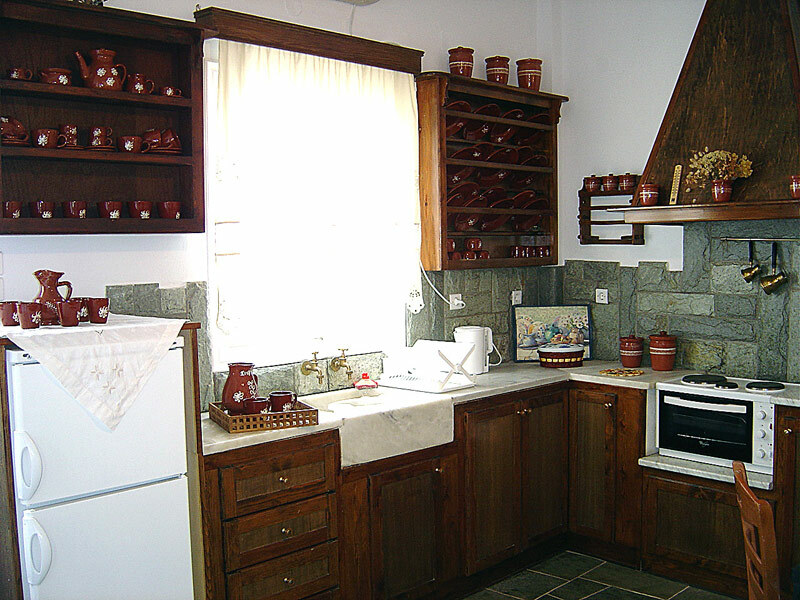 You will also find the famous Sifnian pottery workshops. 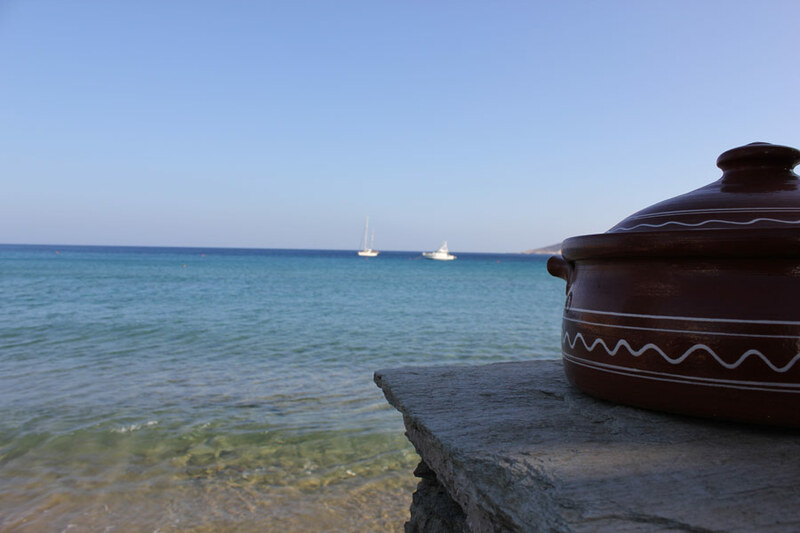 The owner of one of the oldest (100 years old) pottery workshop in Sifnos Mr. John Apostolidis is also the husband of the owner of our Pension.